This article is for the series, For the character see Kaiser de Emperana Beelzebub IV. 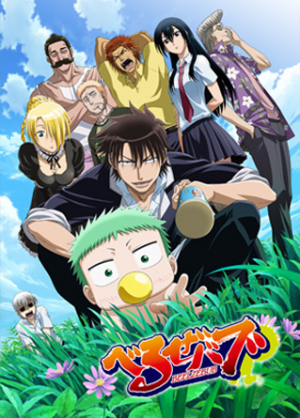 Hildegarde mentions that she and Kaiser de Emperana Beelzebub IV are going to take a Bath when they get home (to Tatsumi Oga's house) which happens Off Screen. Ryouko Asuka mentions that she is still feeling tired from the shock during yesterdays bath which was the bath in chapter 149. It is implied that this shock was off screen since the scene in 149 doesn't show any kind of shocking action. Kaiser de Emperana Beelzebub IV goes sleep-Skinny Dipping in his own urine. Hildegarde attempts to take a Bath with Kaiser de Emperana Beelzebub IV but he ignores her along with everyone else who was secretly thinking that it was her birthday due to a mailing mistake the demon king made making everyone busy plotting a surprise party for her. This page was last modified on 15 April 2016, at 02:59.